Natural anti-aging!!! Though acupressure you can release toxins from your face, which is healthy for your physical body and encourages a naturally younger looking you. Using these acupressure points will also help balance the organs associated with each point, which is clearly displayed on this chart. 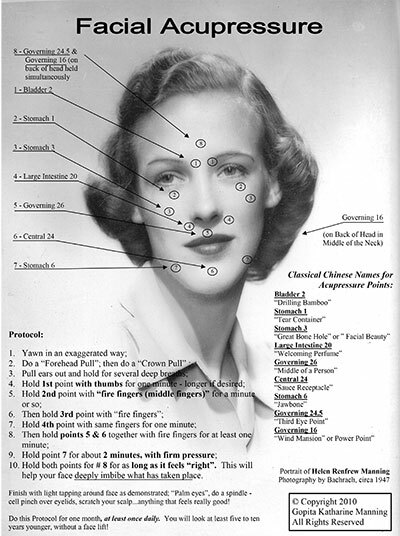 Acupressure points for the face are highlighted in this easy to follow guide. Do this protocol once daily as a natural alternative to a facelift using classical Acupressure points on the face. You will achieve many benefits beyond just looking younger and feeling more vital – you will increase your overall well-being. Single-sided, laminated in black and white.